(July 14, 2017) – DuroByte Motorsports and 14 year old driver Michael Clancy Jr. have had a rough start to their 2017 racing season in their first three events with the JEGS/CRA All-Stars Tour Presented by Chevrolet Performance, their results have not shown how good the team and Clancy Jr. have been with three DNF’s in those first three events. The team showed it can prepare fast racecars for Clancy Jr., when at the 5th Annual Masters of the Pro’s 144 at Lebanon I-44 Speedway on July 3rd, Clancy Jr. picked up his first ever Fury Race Cars Fast Qualifier Award, out qualifying some of the best Pro Late Model drivers in the country. Unfortunately bad luck struck again during the race when Clancy Jr. was caught up in an on track incident not of his making, which damaged the front right suspension, forcing him to park the car at the competition yellow at lap 100. Clancy Jr. and the DuroByte Motorsports team headed to Kil-Kare Raceway last weekend for the series’ first ever event at that challenging oval located in Xenia, Ohio. A strong group of drivers were on hand for the event including the CRA regulars and a strong group of local racers and racers with lots of experience at that track including two time ARCA/CRA Super Series Champion Travis Braden and former ARCA/CRA Super Series Kil-Kare winner Brandon Oakley. Clancy Jr. again showed the speed his teams cars have with a solid sixth place qualifying effort of the 23 cars that took times. With the invert, Clancy Jr. would start in the fifth position and looked poise to shoot for a top five finish when disaster struck on lap two when the car suddenly broke loose and spun in the middle of turns three and four with the field bunched up tightly behind him on lap two. Clancy Jr. managed to escape any damage, but the team brought him to pit road to check the car and make some set up adjustments under the red flag. From there Clancy Jr. would work his way through the field and avoid a multi-car wreck on lap 40. After that yellow the race would go from green to checkers with Clancy Jr. finishing a solid seventh, his first race of the 2017 season that he avoided any bad luck and got to finish! Clancy Jr. sits fourth in series Championship points after four events. 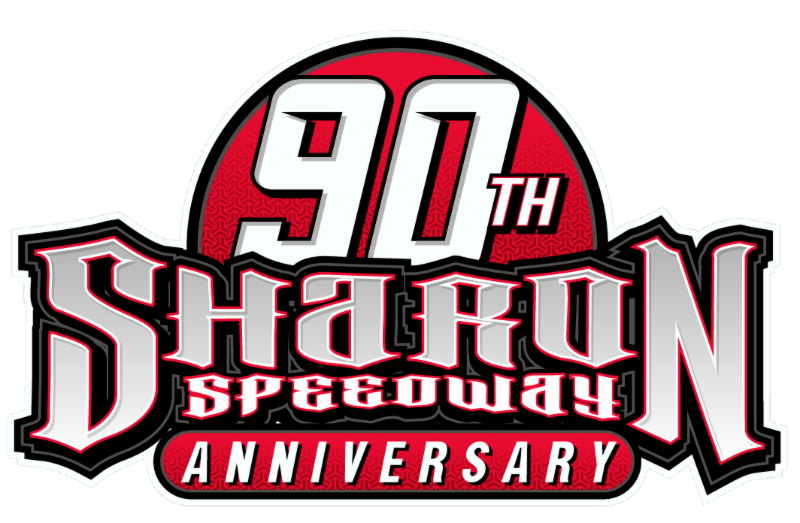 The series now heads to Berlin Raceway located in Marne, Michigan this Saturday for the third of four straight series events. The event has again attracted a stellar group of racers including the best of CRA and the best of the Berlin Raceway Late Model competitors. DuroByte Motorsports will campaign Howe Racing Chassis Ford’s again in 2017 with Ford engines by Ilmor. 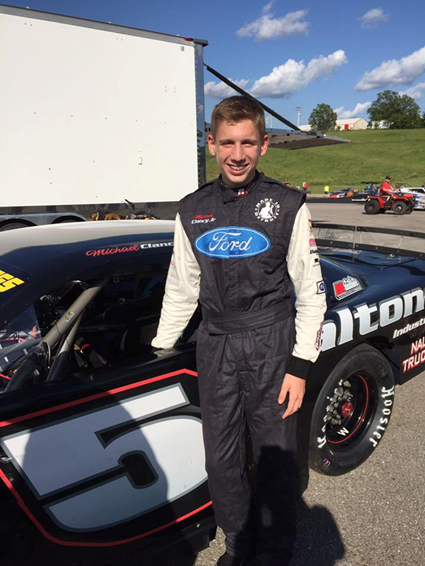 The team announced that Made In Detroit and Dalton Industries would return to support Clancy Jr. and the DuroByte Motorsports Team in 2017 along with Ilmor Engineering and Nalett Trucking..
At 13 years old during the 2016 racing season, Clancy Jr. was the youngest regular competitor with the JEGS/CRA All-Stars Tour. Clancy Jr. went on to get three top ten finishes during the season, with a top finish of sixth twice, once on the High Banks of Salem Speedway and at the tough quarter mile of Anderson Speedway. Clancy Jr. finished 7th in final series Driver Points and was second in VanDoorn Racing Development Rookie of the Year points. DuroByte Motorsports, owned by Murray Van Wieringen and spear headed by crew chief Jimmy D Smith, has a proud history of fielding competitive racecars with the JEGS/CRA All-Stars Tour and ARCA/CRA Super Series since the 2013 season. More information on DuroByte Motorsports is available at www. durobytemotorsports.com or on Facebook at www.facebook.com/durobytemotorsports. More information on Michael Clancy Jr. is available at www.michaelclancyracing.com or on Facebook at www.facebook.com/Michael-Clancy-Racing.